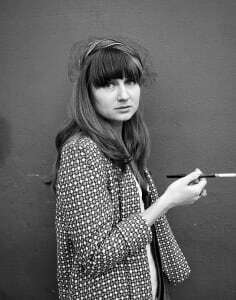 Elena Shvab is a London-based milliner and textile designer. After graduating with a BA Textile Design at the University of Arts London, she pursued the internationally renowned HNC in Millinery at Kensington and Chelsea College. With apprenticeships at acclaimed milliners she honed her skills further, and eventually set her own label. She creates two seasonal collections a year. Alongside these main collections, she offers a bespoke commissioning services for private clients around the world. Some of these works can be spotted at major events like the Royal Ascot and the Melbourne Cup Carnival. This was my first ever millinery course and with a love of hats, I had always wanted to make my own headwear. This course was excellent value, and Elena was an absolutely fantastic teacher. 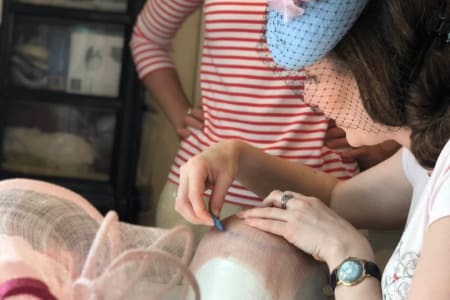 I had a lovely day with Elena in her London studio, and was so pleased to be able to make my own fascinator with guidance in just a few hours. Elena was incredibly patient and knowledgeable, showing me different techniques and guiding me through the steps. I really enjoyed Elena's company and will definitely go back to see her for more classes! Loved this course! Flexible with timing and what I wanted to accomplish, patient and friendly. Really delighted with my whole experience!